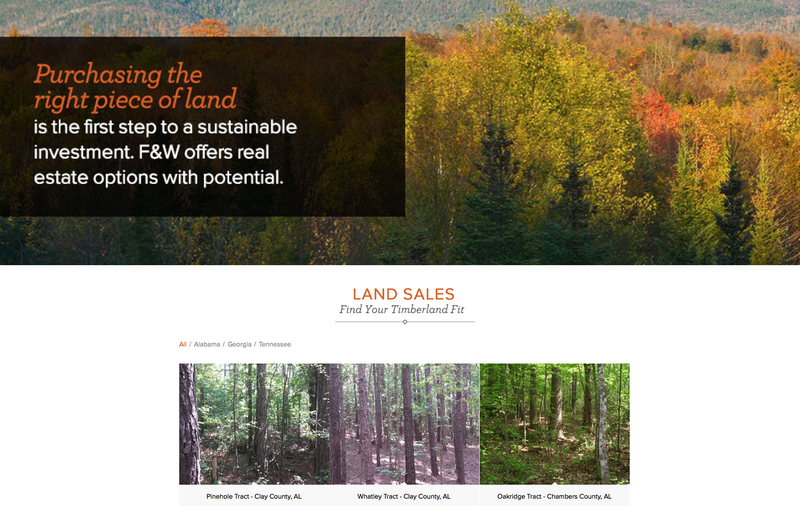 F&W is a premier forest resource management and consulting firm with a strong reputation in the marketplace. Over the years, the firm grew out of its mostly Southern-focused, small-town approach into an international, high-tech firm with real investment savvy. F&W had a trusted brand, but it was outdated and didn’t align with their new vision. The company needed to show that they were more than just foresters. They were foresters with MBAs and CPAs behind them specifically cultivating investments to produce the best overall value for the client. 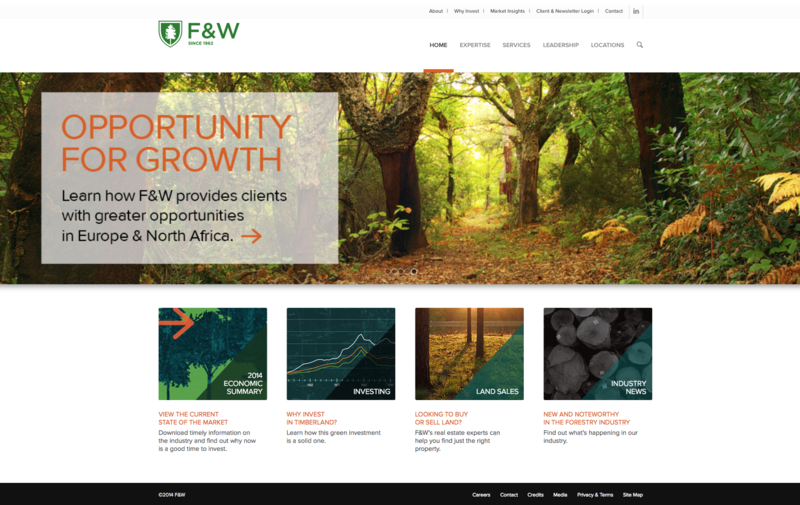 F&W Forestry needed a communications vehicle that could showcase its vast range of services, international reach, solid thought-leadership and extensive range of personnel. The website would need to redesigned to accommodate a new content strategy that would position the brand as an industry leader. Soloflight organized and prioritized the information after evaluation and one-on-one interviews with the brand’s core audiences. The team discovered the need to give an overview of the process while demonstrating the core services for a complete picture of F&W’s vast experience and consultative offerings. Soloflight created a website structure that would guide the visitor through the content in a more directed way. Once this framework was in place, they were able to call out the most important elements while maintaining an easy-to-navigate site. The new website was also built to be responsive for use on mobile devices while maintaining the brand’s overall style.